You have March 20 circled on your calendar — the first day of spring. And while you know as a Northern Ohioan that the chance to experience spring doesn’t really happen until April, you’re ready to get out there and get your hands dirty. All you want to do is shake off the cold and make things beautiful again. But this time around, you want to do it with a different team, a different boss. 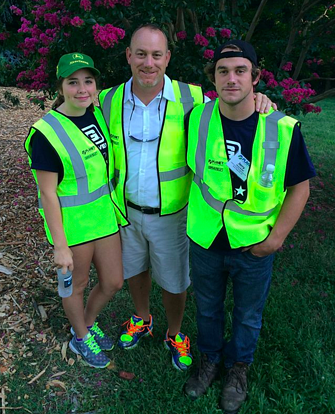 Maybe you’re interested in turning your love for the outdoors and landscaping into a career. 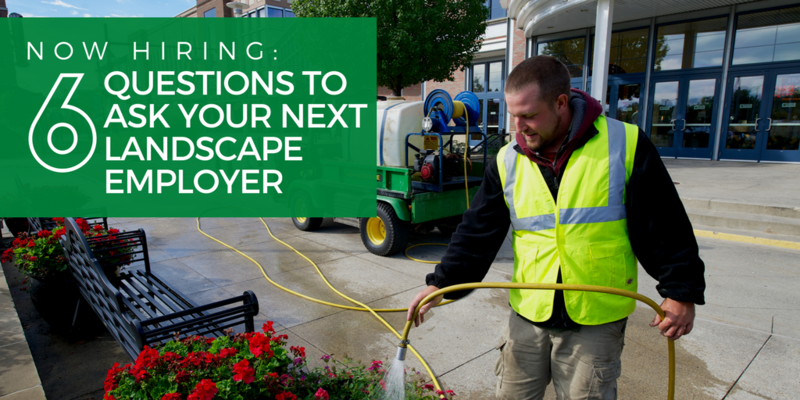 Or maybe the culture at your current company isn’t doing you any favors when it comes to improving your skillset as a landscaping professional. Whatever the reason, you’ve decided it’s time to look elsewhere for work — particularly in the commercial landscape industry. If that’s the case, it’s time to start asking some questions. Commercial landscape firms around the area are ramping up for spring and ready to hire, which means that there are plenty of landscaping jobs. Do you know what to look for in an employer — in the commercial landscape industry? Or what questions to ask to put yourself in a position to succeed and grow? Take a closer look at the following six questions, along with the reasons why they matter to your professional development. Once you’ve built a solid rapport with your new company, it’s a good feeling to know that they prefer promoting from within the organization. After all, you’ve shown your loyalty to the company; it would nice to see it reciprocated. Do You Offer Employee Development And Training? From landscape equipment and design to sales strategies and techniques, the commercial landscaping industry is constantly developing. And instead of finding it hard to keep up, industry certifications and in-house training programs help keep employees in demand, their skills relevant and resumes more attractive. No more going through the motions. When a company invests time and money to train and certify its employees, everyone wins — and improves. Is Your Work Environment Drug Free? According to the National Drug-Free Workplace Alliance, drug or alcohol use is involved in 40 percent of workplace accidents. If your employer is unable to enforce a drug-free work environment, your safety and productivity are put at risk. You know the old saying, “One bad apple spoils the bunch.” Well, this can be very true for landscape crews. The last thing you’re going to want to deal with is a team member under the influence at a worksite — putting your job and health at risk by showing up late, producing low quality results and handling heavy machinery. No thanks. Are You Active In Industry Associations? When the owners, managers and even employees of a company (you’re interested in) are active members of industry associations, that bodes well for the entire organization. Association members have some of the best access to offsite educational events, peer-to-peer networking, idea sharing and exposure to new, needle-moving business practices. Association involvement also keeps companies up on relevant trends and industry certification and accreditation opportunities and deadlines. Do You Participate In Community Outreach? It can be hard to find time to give back to your community, even though we all know how valuable the experience can be. That’s why some employers are making it a point to include community outreach to their calendars. Businesses that actively participate in the community generally experience higher employee camaraderie and retention. In 2018, we estimate that the Schill team will give at least 250 hours of community service. Do You Encourage A Work-Life Balance? And that doesn’t begin to explain the amount of job stress brought home. And the truth is, employers are not responsible for making sure employees have achieved a respectable work-life balance — but they should. Here at Schill, we try to help our employees maintain a healthy work-life balance by producing accurate routing and scheduling, company sponsored social events and a family-first work environment — something that should be ingrained in the culture of a family owned and operated business. You Have Questions. Give Schill A Chance To Answer. Schill can answer “Yes!” to each of the questions above. In addition, we offer a comprehensive benefits package that includes paid vacation, 401k options, and medical coverage. Our people and the planet always come first; profit comes second. I have always been a huge fan of the quote: “You can’t grow your business without growing your people.” I like to think that we do our very best to make that happen here at Schill Grounds Management. 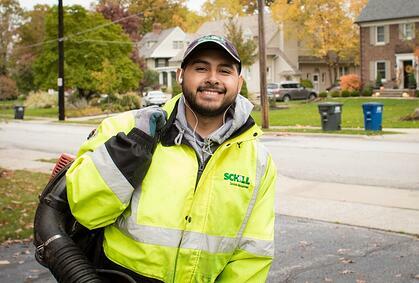 If you are interested in becoming part of the Schill team of commercial landscaping professionals, visit our careers page to learn more. Schill Grounds Management has become the preferred provider of commercial landscaping and snow services throughout Northeast Ohio by building an exceptional team of dedicated professionals. We’ve been featured in the Wall Street Journal and Lawn & Landscape magazine and are leading the charge for continued growth of our industry. 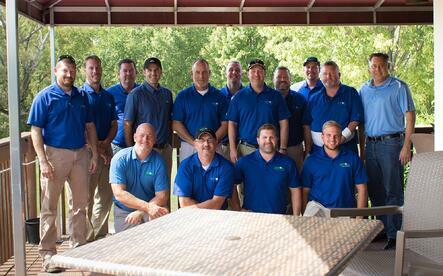 Ready to begin your career with one of the best landscaping and snow removal companies in the country?